What is a Provost—and what does a Provost do? Don’t look for the answers on the bookshelf. There is scant literature devoted to the Provost-ship – for which the author advances a number of hypotheses – so, until this informal and autobiographical account, there has been little for aspirants or new appointees to draw on for guidance or to provide a feel for what the role entails. Larry Nielsen offers a highly personal account of his tenure as Provost of North Carolina State University, from his unexpected invitation by the Chancellor to act as interim Provost, to the events that forced his resignation four years later, and brought him unwanted notoriety. 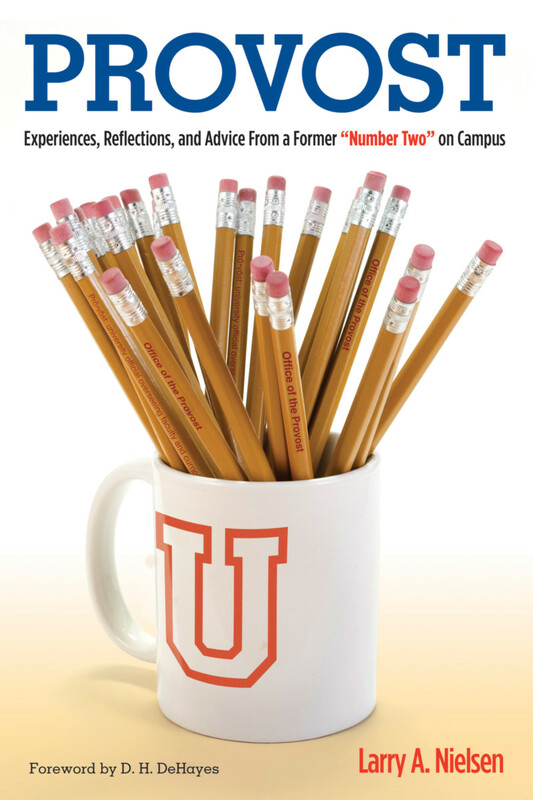 This is an entertaining and insightful read for anyone who wants to get a glimpse of how a large university functions, as seen through the eyes of an ultimate “insider.” For those interested in taking on the highest administrative positions in higher education it offers a window into that world, including the perils to which incumbents can be exposed when their actions become front-page news. chapters in 12 parts for a total of 402 pages. "In this extraordinary reflection on the role of and experience in serving as Provost at a major public research university, Larry Nielsen thoughtfully, and with honesty, wit, and clarity, describes the wonder of the position and helps us all navigate the pitfalls and savor the moments of joy and progress. Nielsen’s years on the faculty and in positions of Department Head, Director, Dean, and Provost provide him a depth of knowledge and special insights about the inner workings of the academy across several institutions. His uncanny capacity for reflection upon and synthesis of those experiences, including the unfortunate circumstances that led to his resignation, and translation of them into meaningful analysis and prose lend credence to his advice and make this a book worth reading – not only for aspiring Provosts, but also for faculty, Deans, and Presidents. Read this book and learn about the inner workings of our universities, the roles and responsibilities of the Provost position, the subtle dimensions of effective leadership, and, equally as interesting, the experiences and reflections of an individual who loves the academy." 3.	Who Could Love Being an Administrator? 6. What Is a Provost, Anyhow? 18. Academics “R” Us—or “R” It? 34. Where Does Faculty Leave off and Provost begin? 45. What Is a Department Head, Anyway? Part Nine: Who Owns the University? 59. What Is a Provost? 60.	Who Gets to Be a Provost? 61. How Do Provosts Spend Their Time? 62. Is There Life After Being Provost? Larry A. Nielsen is Professor Emeritus of Natural Resources, Department of Forestry and Environmental Resources, North Carolina State University.